A tattoo exhibition in Kuching is quite rare these days despite the fact that tattoos are an important part of the Sarawakian culture. While tattoos among Sarawakians, particularly the Dayaks do revolve a lot around culture, the understanding of tattoos is limited. This had cause many tattoo lovers to ink themselves with images that are ‘cool’ without actually knowing what it means. 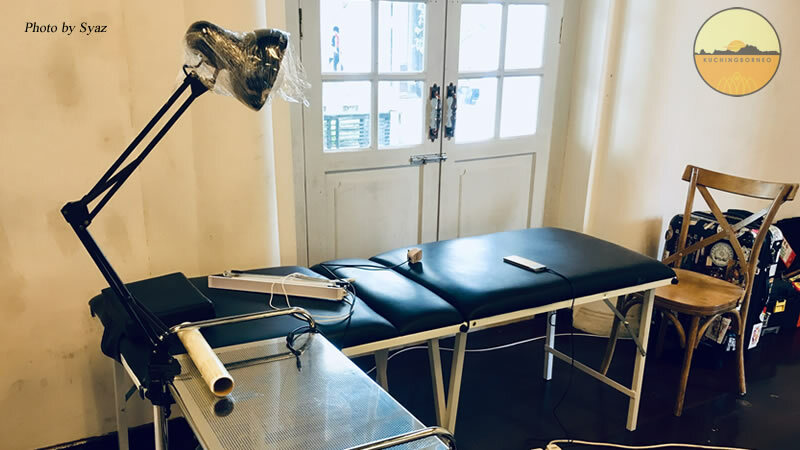 This is where the exhibition “TATTOOING NATURE: AN EXPLORATION OF NATURAL AESTHETICS” tries to explain tattoos and their roles in the society. 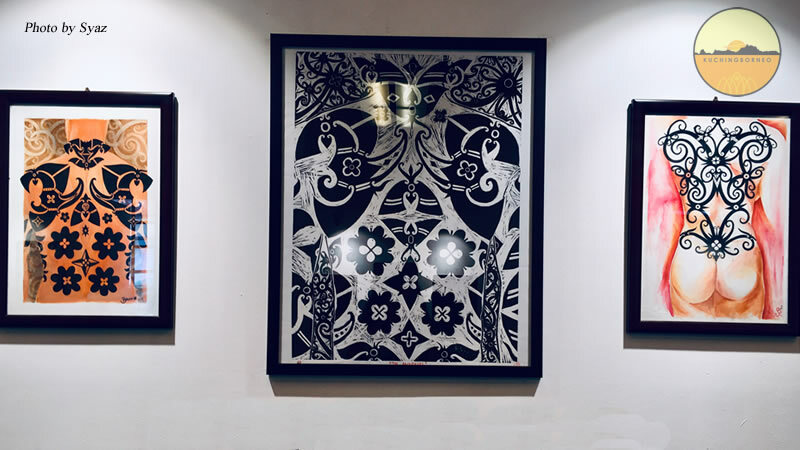 The exhibition focuses on three types of tattoos namely Oriental Japanese Pattern, Wood Cut printing and Borneoan tattoos. The Oriental Japanese Pattern revolves a lot on colors, waves, mountains, dragons, clouds, and koi. These type of tattoos are inked using the one needle method known as Tebori. As for the Wood Cut printing, wood carvings and off set ink are displayed to show how these tattoos are made. The designs on each wood carvings were very fine and delicate that it actually amazed me on how precise each carving was made. Most of the carvings featured Dayak motives. The Borneoan Tattoos on the other hand was a key interest of mine. 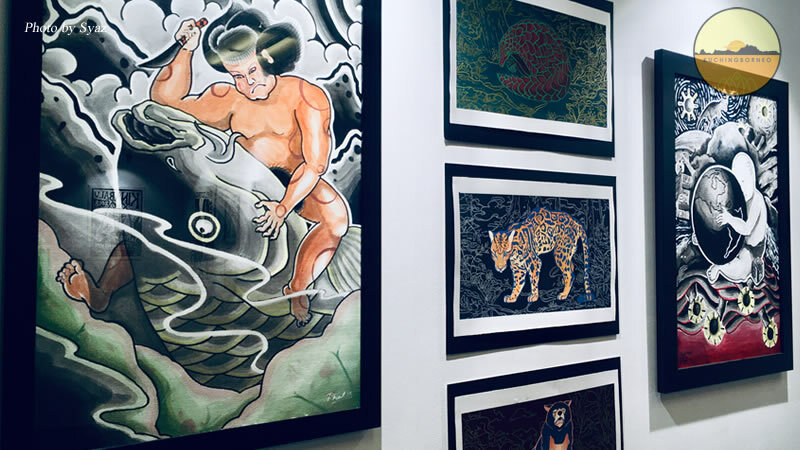 At this tattoo exhibit, the Orang Ulu and Iban designs by Baxx Jordan were showcased and explained. It was through this exhibition I learned about the designs related to the Tree of life, bunga terung, and crab (ketam), and its significance to the local Dayak people. 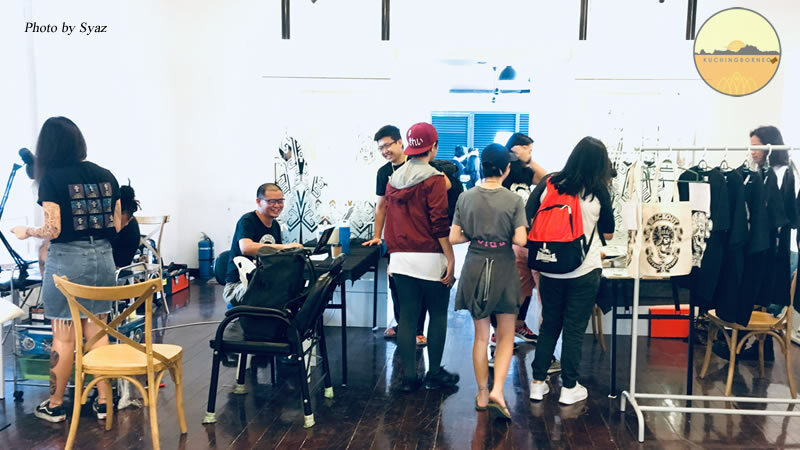 I was also exposed to the different trends in Tattoo making in Borneo with Sarawakians preferring local tribal Borneoan designs, while their Sabahan counterparts preferring a more American blend of tattoos. I was made to understand that Sabahans also have their share of Borneoan tattoos and their inclination towards American designs was a matter of preference. 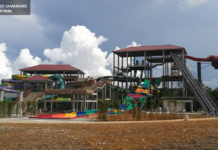 Aside from the interesting tattoo exhibition, there were two other side events happening at the grounds of this tattoo exhibition in Kuching. 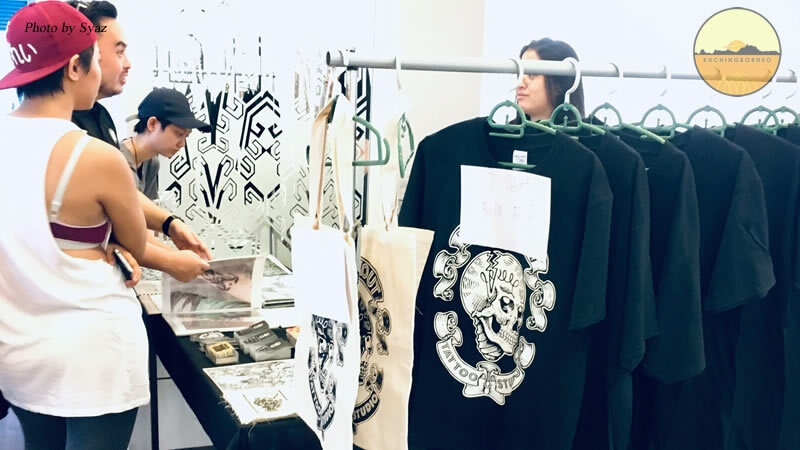 One was the sale of tattoo related merchandises which include items like bags, tees and so on. The tribal shirts on sale were lovely in my opinion, but I do have a soft spot for tribal designs. The other part was more interesting because it enabled one to be part of the tattoo exhibition in Kuching. You can do so by booking a tattooing slot at the exhibition, and the the tattoo artist would do live tattooing at the exhibition. Personally, I don’t see myself getting tattooed in front of a crowd, but some I guess wouldn’t mind the experience. This particular tattoo exhibition in Kuching is now being held for 11 days at the Sarawak Old Court House, in conjunction with the What About Kuching Festival 2018. If you want to check out the tattoo exhibition, head on to the Old Court House from now until 9 October from 11AM to 5PM daily. The map below will help you go to the Old Court House, if you aren’t sure about its location. Entry is free to all and I’m made to understand that there’s always someone there to explain about the exhibits. I think the TATTOOING NATURE: AN EXPLORATION OF NATURAL AESTHETICS exhibition was an interesting eye opener for me. It was exciting to learn about the different cultures and their tattoos. It also made more sense why certain tattoos, like say, the Bunga Terung, must come in pairs. 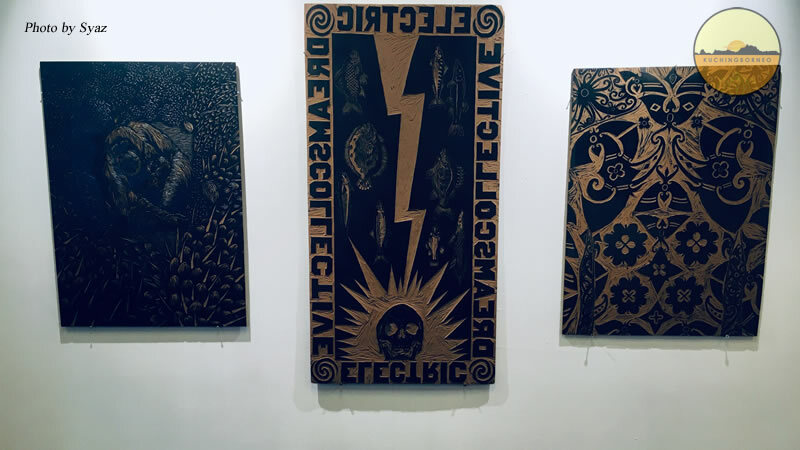 That said, it is my hope that those wanting to get tattoos, especially Borneoan tattoos would check this exhibition out because if you inked yourself with the wrong symbols, it may bring a whole new meaning. 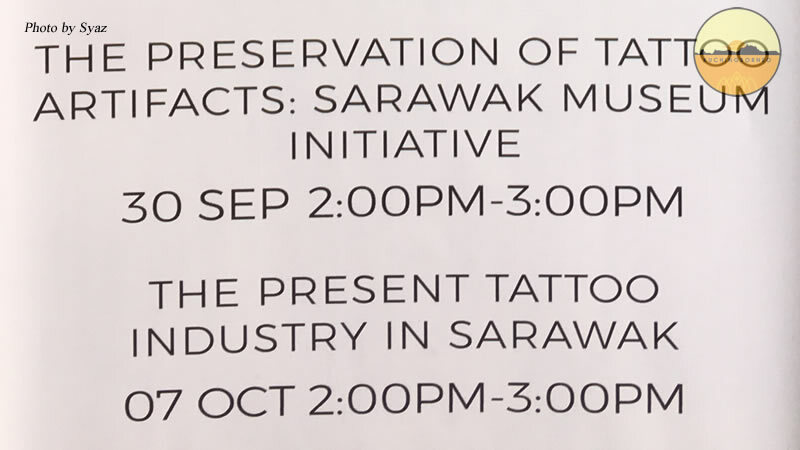 p/s: There’s a talk about the Tattoo Industry in Sarawak this 7th October at the Old Court House as well. I might want to check that out too!